It’s no surprise that people are turning to Mrs. Obama. The popular first lady has a favorable rating of 64 percent -- that’s higher than both President Obama and President-elect Trump, according to a recent Gallup poll. 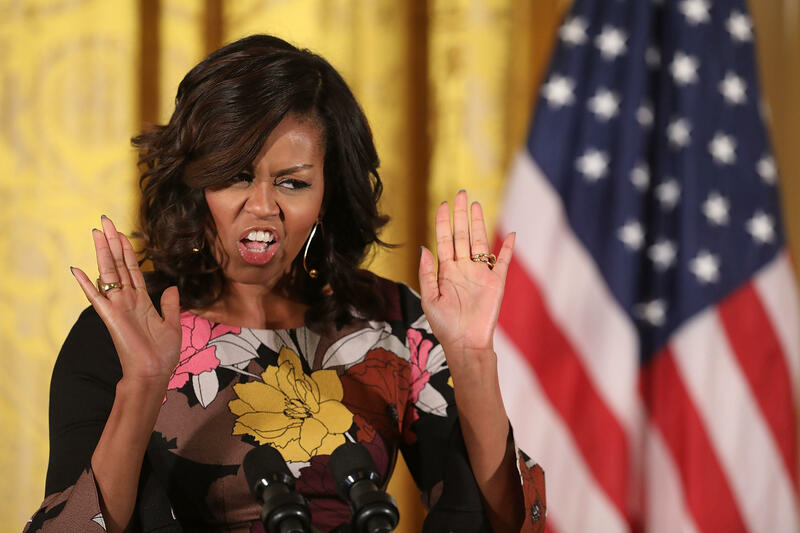 Despite the pleas, the chances Mrs. Obama returns to the White House appear to be slim. First Lady Michelle Obama: "Be quiet back there." Mr. Obama has also shut down the idea that his wife will one day run for president.